Specialists in PVC coating, Thermoplastic powder coating, Epoxy and polyester powder coating for architectural aluminium, Profile sheets, Sheet metal works, Chain link fencing, Wall railing. Steel fabricators assemble, draft and repair products made of steel for use in a wide assortment of assembling and development of commercial ventures. They should be acquainted with the properties of metal and know how to work on metalworking machines. Steel fabricators can work for sheet metal creation welding shops, and for manufacturers of steel boilers, various types of apparatus and transportation gear, shipbuilding organizations, welding, and ironwork. A steel fabricator cuts and shapes steel, and assembles steel structures which are used by industries and by individuals each day. Steel is fabricated to manufacture automobile frame work, bikes, seats, and decorative items. A steel fabricator needs to know how to interpret architects' drawings and outlines. Once the steel fabricator understands what is required to manufacture a piece for a structure, he or she utilizes devices like electric slicing gadgets that enable the process of fabrication. In Order to become a steel fabricator, one would have to take preparation programs to understand the basics of the job and the usage of the various tools used in the process. 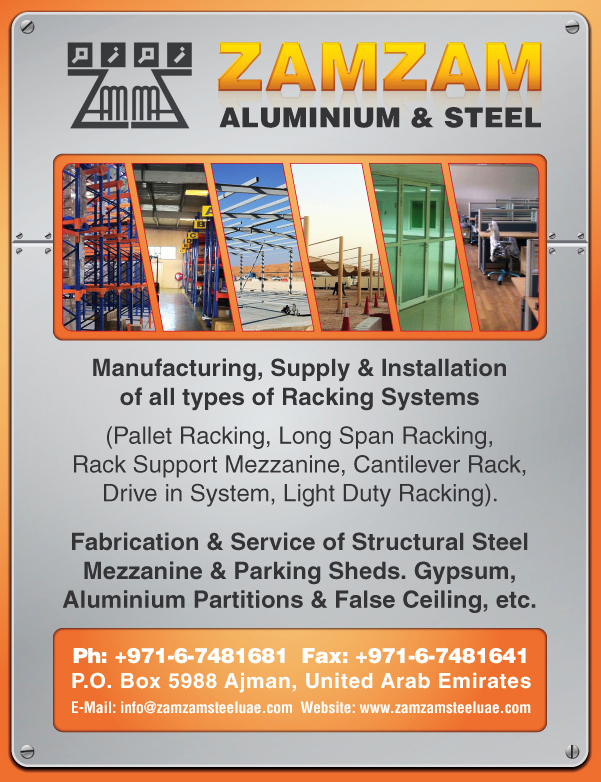 Some of the best places in UAE to find steel fabricators are SAIF zone and Al Sajja Industrial main road in Sharjah.